A half day session that will exceed your expectations. 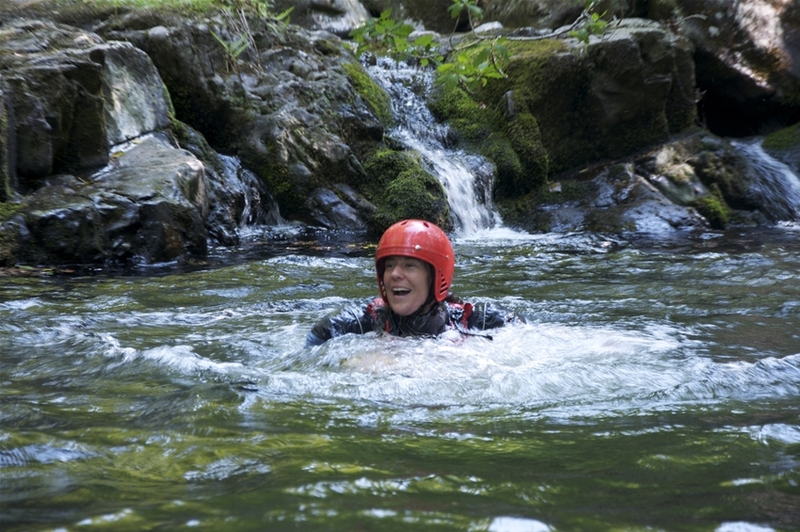 During the session you will slide down beautiful slabs of rock into clear Welsh water, jump off rock steps under the watchful eye of a local waterfall and maybe even abseil down that fall. Under 16's need to be accompanied by and adult. What's the difference I hear you ask? This session will have you in a spin. 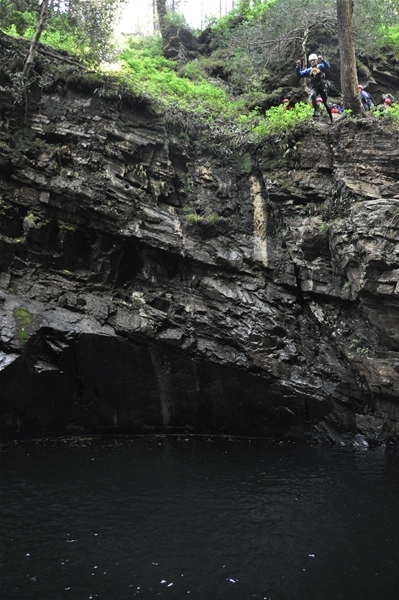 You will abseil down huge waterfalls and experience the highest jumps that we have to offer. This is a full day mission and is not for the faint hearted. Available all year-round. Price: £90 per person. (Minimum Group size 4) Over 16's only. What is the minimum age? 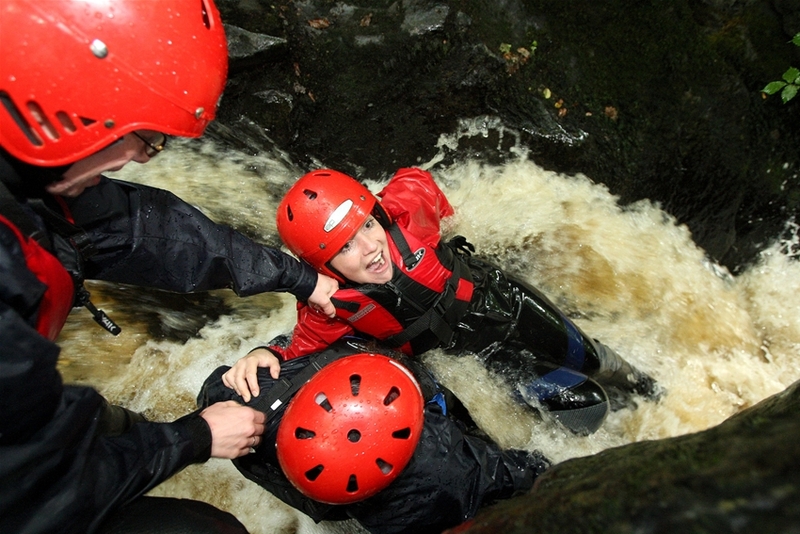 : 8 years old for gorge walking, 16 for canyoning but under 16's need to be accompanied by an adult. What times do you do it? 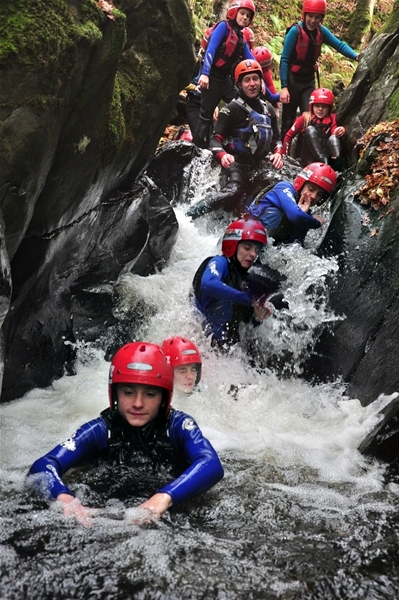 : Gorge Walking 9.00am or 1.30pm. Canyoning 9.00am.